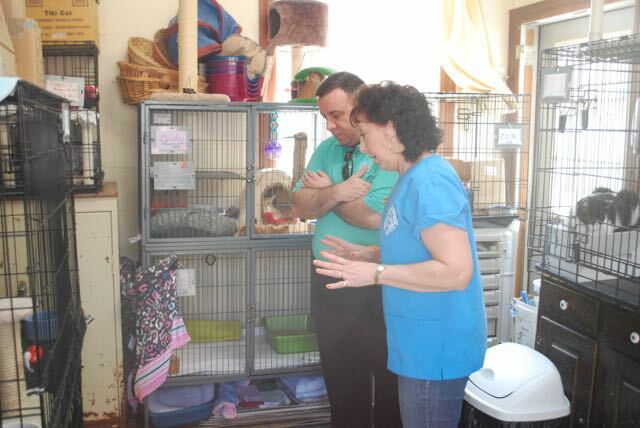 Assemblyman Karl Brabenec (R,TCN-Deerpark) visited the Warwick Valley Humane Society Tuesday in an effort to spread awareness regarding animal abuse. Brabenec recently authored and passed an Assembly Resolution authorizing the governor to declare April as Pet Cruelty Awareness Month in New York State. “Unfortunately, pet cruelty and animal abuse remains a serious concern in our state,” Brabenec said. “Whether it’s malnourishment, neglect or illegal breeding and sales, we must do all we can to raise awareness and combat these despicable crimes. I was honored to author and pass an Assembly Resolution last week proclaiming April as Pet Cruelty Awareness Month and will continue reaching out to community stakeholders offering my insight and support.